The English word "atonement" was coined by William Tyndale as he translated the Scriptures from the original languages into the English tongue. Tyndale needed a word that conveyed the Hebrew concept of forgiveness of man's sin and the reconciliation of the sinner to a holy God through the death of a substitute (sacrifice). The word is a contaction of three English words "at" "one" "moment" (atonement). In Tyndales mind, the death of the supreme Substitute (Jesus Christ) brought reconciliation of the sinner to God. Now the question evangelicals have struggled with throughout the centuries is this: "For whom did Christ atone?" In other words, through the death of Christ, which sinners were forgiven and reconciled with God? There are only three possibilities. (1). Every sinner that has ever lived (universalism). (2). Elect sinners--those whom the Father has chosen and given to His Son. (3). Believing sinners--those whom the Father foresaw would believe on Jesus. Bible-believing evangelicals see the atonement of Christ as a satisfactory payment for specific violations of God’s law. "The wages of sin is death" (Romans 6:23) and the sinner who has sinned by not loving God and his fellow man with all his heart is subject to the righteous and holy punishment of his Creator. The essence of Jesus' saving work is His substitution in the sinner's place, bearing the curse in the place of the sinner (Gal. 3:13). But for those of us who are conservative and believe that the Bible teaches penal substitution, we are faced with a very serious question: "For whom did Christ die?" Most evangelicals would answer that question in this manner: For every single sinner who has ever lived, is living, or will ever live. If the person who holds to this view is then asked, "Will every single sinner who has ever lived, is living, or will ever live be in heaven?" The answer given is "No. The sinner must accept what Jesus has done. The sinner must believe. The sinner must take hold of the atonement that has been offered." So most Christians, when pressed, would have to say the atonement of Jesus actually saves nobody. It is the faith of the sinner in Christ that saves (because of this prevalent belief we ought to consider changing the title of the hymn "Have Faith in God" to "Have Faith in Faith"). The modern evangelical has a belief in a very weak, impotent atonement performed by Christ. God, they believe, actually saves nobody through the cross; sinners are only actually saved through their belief in the cross. I believe the greatest challenge we face in the modern evangelical world is moving people toward a stronger, more biblical and powerful view of what Christ actually accomplished at the cross. Some propose that the greatest challenge within the Southern Baptist Convention is a resurgence of the doctrine of unconditional election. The idea that God chooses sinners to be saved, without any condition or merit in the sinner (including foreseen faith), is disconcerting to many. On the other hand, SBC Calvinists are concerned with those Arminians who say "election" is simply God's foreknowledge as He looks down into the future and sees who will believe on Christ and called them "His elect." However, I propose both views (i.e. "sovereign election" and "foreknowledge"), Calvinism and Armininism, are compatible in a Convention that has a belief in a strong and powerful atonement--i.e. that Christ actually, powerfully, sufficiently and eternally saves those for whom He died. In my opinion, the greater problem we face within modern Christianity is changing the current popular and prevalent belief that Christ's atonement was a weak and impotent atonement. One would have no problem with those who hold to the traditional Arminian view that God "looks down through the future and sees which sinners will believe on Christ," nor with those who hold the traditional Calvinistic view that God chooses sinners to be saved and gives to His elect the gifts of repentance and faith--if both groups believed in a powerful and effectual atonement performed by Christ on behalf of those for whom He died. As long as Christians believe that Christ actually pardons and reconciles to God those for whom He dies, then whether or not God "foresaw" faith in sinners or creates faith in sinners, we would fellowship around a belief in Christ's strong work on our behalf. Again, the Bible teaches that God saves us through Christ's work at Calvary. The conversation we ought to be having is not necessarily over election, but over the extent and power of Christ's atonement at Calvary. Wade, Thanks for writing about the atonement. It is at least for me a difficult issue to discern. There appears to be Scriptures that speak that Christ died for all. However, if Christ died for all people how can anyone be in hell. I can handle either view that holds that God foresaw or God chose before the foundation of the world and atone for those sins. I have always wondered why we pray for people's salvation if we truly don't believe "Jesus Saves", but rather believe "Jesus Saves If". That little if has just about destroyed us! My Utmost for His Highest > Dec 23rd > HOW CAN I PERSONALLY PARTAKE IN THE ATONEMENT?. The Gospel of Jesus Christ always forces an issue of will. Do I accept God's verdict on sin in the Cross of Christ? Have I the slightest interest in the death of Jesus? Do I want to be identified with His death, to be killed right out to all interest in sin, in worldliness, in self - to be so identified with Jesus that I am spoilt for every thing else but Him? The great privilege of discipleship is that I can sign on under His Cross, and that means death to sin. Get alone with Jesus and either tell Him that you do not want sin to die out in you; or else tell Him that at all costs you want to be identified with His death. Immediately you transact in confident faith in what Our Lord did on the Cross, a supernatural identification with His death takes place, and you will know with a knowledge that passeth knowledge that your "old man" is crucified with Christ. The proof that your old man is crucified with Christ is the amazing ease with which the life of God in you enables you to obey the voice of Jesus Christ. Every now and again, Our Lord lets us see what we would be like if it were not for Himself; it is a justification of what He said - "Without Me ye can do nothing." That is why the bedrock of Christianity is personal, passionate devotion to the Lord Jesus. We mistake the ecstasy of our first introduction into the Kingdom for the purpose of God in getting us there; His purpose in getting us there is that we may realize all that identification with Jesus Christ means. There are lot of things which strike me as curious in all this. Most people I ask say that, when God moved in their heart (spirit, soul, however you describe it), they really had to respond in faith. I have yet to meet anyone who said the process, for them, was casual. But we seem reluctant to admit that God might do it that way all the time. Secondly, God has always been a choosing God. He chose Israel. That means He didn't choose any of the other nations. He chose Abraham, Isaac, Moses, and not anyone else to do what they did. He chose the Babylonians to bring a little retribution to Israel (check Habakkuk 1:1-6 for that), He chose Mary and Joseph. And on an on. In my Wednesday night group, I've asked them to consider how it would make them feel if they knew the only reason they were saved was that God chose them. And what if it were true that He didn't choose everybody, but only some? And He chose them anyway. Always, they say how special that would be to think God picked them personally, instead of as part of the human race. Perhaps true crucifixion of the flesh includes admitting we really didn't contribute anything to our salvation, but it was completely the receipt of a gift that a sovereign God chose just for us. And not that we were smart enough, good enough, or lucky enough to have been in the right place at the right time, in the right frame of mind. ... "the extent and power of Christ's atonement at Calvary. " are examined as they relate to one another. When did Our Creator first reach out to help His fallen children ? When the Eternal One, in His great compassion, provided clothing for Adam and Eve at the beginning of the time of their shame. And in the fulfillment of time, He again reveals to the sons of Adam and to the daughters of Eve His great compassion, this time clothing Himself in human flesh. that first 'Year of Our Lord'. You said, "The conversation we ought to be having is not necessarily over election, but over the extent and power of Christ's atonement at Calvary." But how can the two be separated? The "extent" of the atonement is about, as you said, "those for whom Christ died." And the "power" of the atonement is about what it accomplished. If Christ’s death actually secured salvation (rather than just making it possible), and if He died for every individual, in the same sense, then universalism is inescapable. But if His death was not every individual, in the same way, then election is inescapable. I cannot envision anyone accepting the idea of a particular and effectual atonement without also affirming election. I do believe that people can and should chose to cooperate for the sake of spreading the gospel in spite of differences concerning election (unconditional vs. "foreseen faith") and atonement (particular, aka limited, and effectual vs. universal and potential). But I don't see how someone could hold to a particular, effectual atonement and also to the idea that we are forgiven and reconciled based on foreseen faith. While I have heard some claim to believe in unconditional election but not limited atonement, I have never heard anyone say they believe in conditional election and limited atonement. Have you? I can affirm the powerfully sufficient atonement of Christ. I can affirm election. But I can't agree with Calvinists because I don't think they are using those terms well: especially election. And as Tom pointed out, we can't talk about atonement without asking who it was for. The atonement is sufficient for all. It is empowered by the elected: Christ. It is not you or I that is elected. God has never chosen individuals, He has chosen communities (Adam was the father of humanity, Abraham the father of Israel, Christ the father of the Church). To say that God chose to save humans by Christ is a statement both of atonement and election. It's atonement language is obvious. It's election langauge is more nuanced. It says that as many as belong to Christ are saved: it does not require that God choose each member of Christ's Church. As those who are in Adam are condemned, those who are in Christ are saved. There is a degree of fluidity between those two communities wherein one may travel from one to the other. To state that "God chose me but not you, and there's nothing you can do about it" is something a Calvinist would never say. That is rank foolishness. God says He will have mercy on whom HE will, and He will harden whom HE will. I see Pharaoh being hardened to show God's glory, and I see Manuel Noriega (ostensibly) being saved for the same reason. God chooses, or else man is calling the shots. I don't understand all truth about God, but I confess it nonetheless. Jesus more than once referred to those the Father had given Him. I'm supposing that was God's choice, and that He was more than just a good predicter or guesser. The calvinist message is the same as the baptist message. We are sinners, and if we will repent of our sin and turn in faith to Jesus, He will save us. Who will is not up to us; it's up to God. You may never say it because you never know if you are talking to an elected person or not, but ultimately there is no way that the doctrine of limited atonement can not say that. Ultimately, God chose me (the elect) and not you (the non-elect) and there is nothing you can do about it (God's soverign will apart from any human participation). That's why there is no way for a five-pointer to really work out of a position that requires double-predestination. If God chooses and there is nothing you can do, then God predetermines who goes to Hell as surely as He determines who goes to Heaven. But it's okay because God chose you. You can have warm fuzzies. You are special for no reason of your own (a paradox in itself). And your non-elect neighbor is going to Hell for the glory of God. And really, would you rather have a God who is powerful enough to atone for the whole world and loving enough not to force us to love Him? Or a Godd who is only powerful enough to atone for the sins of a select few? If God created people as “objects of wrath” that he knew he would not save, we are left with a wicked God, according to any useful, functional idea of good and evil. If we created sentient robots and then tortured some of them to make others feel special, we would be evil. And if we can’t trust our human thoughts on good and evil, how can we trust our human thoughts on anything, including the Bible? Conversely, if God has left finite humans to make choices about their infinite fate (which they cannot fully understand), then He is evil. This is the same as an adult giving a toddler a pair of scissors and then “respecting” her decision to do what she wants with them - only infinitely worse. I don’t believe the Bible is the inerrant word of God, but if I did, the only philosophical choice that makes any sense to me is universalism. It doesn’t seem He lacks the will. Does He lack the power? I serve a God Who is absolutely sovereign and owes me no explanation. It is apparently only His grace that has moved Him to reveal Himself as He has. Nor does He fit anyone's requirements to be defined by any words we develop to express our thoughts. His are far above that. He has instructed us to do certain things relative to the spread of the gospel, in accordance with His immutable will. We can either obey and do it, or not. In my personal experience, the Presbyterians with which I am familiar are much more obedient in spreading the Gospel than are the Baptists. I've said it before, but in 34 years in Birmingham, I have never once been asked the "key question", about where I would spend eternity, by a Baptist. And I don't know much more of a Baptist stronghold than Birmingam. But I have been, many times, by members of Briarwood Presbyterian, and other PCA churches. It seems Baptists "want to know", whereas the calvinists know they can't understand or know it all. But they do know that obedience .. not comprehension .. is what is required of us, anyway. And I've yet to meet anyone, who wasn't a calvinist, who really grasped the doctrine of limited atonement. What most seem to think it means, I don't believe, either. You write: I cannot envision anyone accepting the idea of a particular and effectual atonement without also affirming election. Maybe. I'm just wondering about those who struggle with the notion that God unconditionally chooses sinners to be saved. Could those people believe that God conditionally chooses sinners to be saved (i.e. God sees the sinner's future embrace of Christ), and still believe in a powerful, effectual and limited atonement without believing in sovereign election? Perhaps God is all-knowing, but still permits choice. I see allusions to Romans 9-11 in this conversation and all conversations about elections and predestination. It is possible that "objects of wrath" was a Jewish derrogatory understanding of Gentiles. Paul could be undoing the Jewish understanding of election that it includes more than the Jewish people (Rom. 9:25-26, 11:32). But, to keep to the point, I agree that there ought to be room for both views in Baptist life. We need to keep our eyes on the death and resurrection of Christ as the basis of salvation and unite under the umbrella of missions. I've preached through the gospel of John and now am close to finishing Revelation. I think the Apostle John teaches that the atonement *produces*. The seed that dies bears alot of fruit [gospel of John]. The Lamb that was slain *actually* redeems people and *makes* those people a kingdom. The Atonement is like WD40. It works. When it comes to Free-will I think most folks mean three things by it. 1. Man voluntarily does what he does and thus his will is not "forced". 2. Man's choice determines his destiny. 3. Man has the ability to do good or evil. I don't have a problem with #1. I don't believe God forces the will but changes the will. But I think both #2 & #3 are contradicted by a straightforward reading of Scripture. God predestines. God elects. God elects in Jesus and not Jesus in elect or something. Jesus said "no one can" [twice]. It seems like folks sometimes resort to "philosophizing" in order to try and prove all three I think. Christiane, I think that Scripture is clear that God does indeed know all things while allowing us to make free choices. The bigger question is how capable is fallen, sinful man to make good choices? Can a man who is enslaved to sin make a choice that frees himself from that sin without the enabling work of God's grace? Or as some have asked it; which comes first - the salvation that frees us to choose God, or do we first choose God and then receive salvation? It's also appropriate to remember that natural man cannot perceive things of the Spirit. At least that's what the Bible says. Who are you, a mere human being, to argue with God? Should the thing that was created say to the one who created it, “Why have you made me like this?” When a potter makes jars out of clay, doesn’t he have a right to use the same lump of clay to make one jar for decoration and another to throw garbage into? I always think of this passage when I try to prescribe some attribute to God in relation to this issue. Please note that I want to have some fun here. My family is with my parents and I'm home alone. People won't let Jesus have a wife! *They* can have a wife. But Jesus? Forget it! A wife is not someone you love "equally" with all other women. But Jesus is said to have a *bride*. Dr. Christianson taught a required course in Christianity at a small college. He found that most students looked upon the course as nothing but drudgery and refused to take Christianity seriously. With a class of thirty-one, he had a student named Steve that was studying to be a preacher. Steve was the center on the football team and was well liked. One day after class, Dr. Christianson asked Steve if he could do 300 push-ups in sets of ten for a class demonstration. Steve said he never had but he believed he could. The last day of class the professor had a party. He had a box of donuts with cream centers and frosting swirls which got everyone excited. Dr. Christianson asked a girl if she would like one, and she said yes. Dr. Christianson said 'Steve, would you do ten push-ups so that she can have a donut?' Steve did and the professor put a donut on her desk. As Steve became exhausted, more and more students refused the donuts, and eventually became sorrowful. There was no sound except his heavy breathing. The last student was a girl. Dr. Christianson asked if she wanted a donut. She began to cry and asked why she couldn’t help him. Perodically I go through this discussion and come away unsatisfied. This was one of the clearer discussions though, and I do think that I understand the problem better. My conclusion remains that if I look at how a Calvinist (of any number of points) behaves (in their Christian walk) and a free will person behaves--I should not be able to tell the difference. Only if I could understand perfectly the motives of each could I know which was which. So I'm not going to worry about it. "The game" is not played by my rules. I just play as best I know how and by the rules as I understand them. But I know that I may not be completely right (and I'd still fail some rule even if I knew). So I believe grace will be sufficient. The Atonement is not a donut lying there. It's a dead grain that produces [Jn. 12:24]. You asked, "Could those people believe that God conditionally chooses sinners to be saved (i.e. God sees the sinner's future embrace of Christ), and still believe in a powerful, effectual and limited atonement without believing in sovereign election?" The answer is yes, I think. That is my belief, at the moment at least (it could change with further study). I do not see why one must believe in sovereign election to believe in a powerful, effectual limited atonement. Salvation is by faith (that is scripture, n'est pas?). Faith is not a work or something of which to be proud. It is a positive response to the call of the Holy Spirit Who is responsible for the effectual nature of the atonement. The Atonement is powerful because every person who responds is saved. This does nothing at all to diminish God's sovereignty. God, in his sovereignty, chose to give human beings an option. We all hear the call, but many say no. Otherwise, why would scripture indicate that God wants all to be saved? If God wants all to be saved but some are not, and Jesus, looking over Jerusalem, would have taken all the people under his wings, but they would not, how can we conclude anything but that these people were able to reject the call. That does not mean the call was not effectual. The call always has as effect; sometimes the effect that it reveals we are not willing to accept the atonement Jesus offers. God's sovereignty is demonstrated more powerfully by his granting us a choice than it would be by forcing his will on us (no argument that He could do that if He wanted, I just don't think it is consistent with several passages of scripture). "Perodically I go through this discussion and come away unsatisfied. This was one of the clearer discussions though, and I do think that I understand the problem better." I think that is a good thing Bennett. I am being serious now. I know you addressed Wade, but I wanted to respond a bit if I could. The idea is that if the "heart" of man is changed, then the will of man is changed. When God changes the heart, He changes the will. Therefore, He is not forcing man against his will. He is changing his will. Also, the effectual call is effectual because it necessarily results in justification [Rom. 8:30]. If I don't get it, then would you explain it to me. Once there was a jacket zipper broken so the motorcycle rider wore it backwards. After a wreck, he was moaning and groaning until a do-gooder turned his head around like it should have been. I’m afraid that illustrates what happens if one believes God is so great He won’t let anyone go to hell, or our ‘will’ is so insignificant it is not important in being saved. On that basis would we think God is good or bad if He is totally responsible? Yep, you changed the guy’s head to fit the jacket. Many couldn’t understand the parables of Christ. Sorry you couldn’t understand the donut. If I’m ole, you must be a ‘young whippier-snapper’. You two men are an example of what I believe is needed in our Convention: One man (Benji) believes in "sovereign election." Another man (Stephen) believes in free will. Both of you believe in a limited, particular and powerful atonement. Benji believes Christ actually saves the "elect." Stephen believes Christ actually saves those whom God foreknew would embrace His Son (also, the "elect" but they are "elected" because they first chose Christ). Again, both of you believe in a powerful atonement, limited in scope to those who are ACTUALLY saved. The FIRST CAUSE is different--but the means by which deliverance is procured (the powerful work of Christ at the cross) is the same. I like the title of this post and think we often get lost in trying to fit each individual's beliefs into "accepted" definitional categories. God saves us sufficiently defines it for me. 2. Created people with "freewill" that He knew in advance would never accept him. 4. The Bible is written by men so this is logically arguing within a closed, "invented" system that does not correspond to any outer reality. I have enjoyed reading everyone's comments. Thanks a lot, Wade, for introducing this conversation on your blog and allowing for dialogue. Good to have a better understanding of how Calvinists think. \In my assessment of your presentation, the Calvinist view waters down the atonement. It proposes that Christ died and offers atonement for a limited number of people. Actually, the more-Arminian position proposes a more powerful and comprehensive value for His atonement because it accepts that the atonement is universal, for every person who has ever lived. “One would have no problem with those who hold to the traditional Arminian view that God "looks down through the future and sees which sinners will believe on Christ," nor with those who hold the traditional Calvinistic view that God chooses sinners to be saved and gives to His elect the gifts of repentance and faith--if both groups believed in a powerful and effectual atonement performed by Christ on behalf of those for whom He died." /As I described above, “Election” as defined by Calvinists does diminish the power of the atonement. That’s one major concern that we non-Calvinist have about this ideology progressing even futher in the Convention. I believe that the concern of the non-Calvinist Southern Baptist is that the Calvinist view diminishes the righteousness and justness of God. It diminishes the accountability of the sinner for the guilt of his sin. It could also be said that it some how prescribes a sense of worthiness of those saved above those not chosen by God to be saved thereby establishing a basis for pride. Another concern is that Calvinism diminishes the responsibility of the church to diligently work to proclaim the Gospel message for those who have not heard. No, I can’t see how Calvinism strengthens the value of the atonement of Christ, to the contrary. It may just be me, but I'm having a hard time seeing how your view of the atonement lends itself toward a belief in a powerful and effectual atonement. Atonement means Christ makes sinners "at" "one" with God. Are you suggesting that every sinner who has ever lived is made "at" "one" with God through the death of Christ? Those who answer the above question "yes" are universalists (they believe all sinners will be in heaven), and frankly, the avowed universalist who believes in the power of the cross to atone is probably more biblically centered than the person who believes in a weak atonement. In your view, if I understand it, no sinner is actually made at "at" "one" with God at the Cross--that occurs later when the sinner believes on Christ. In other words, why can't you keep your free will and still believe in a powerful atonement? It seems to me that the very nature of "at" "one" "moment" necessitates that those for whom Christ atones will be actually, securely and eternally be delivered. By the way, were you to convince me that Christ atoned for every sinner who ever lives, then I would be an unashamed universalist and teach that every sinner who ever lives will be in heaven. As it is, I believe Christ atoned for those who will trust Him. I'm trying to move the debate of "why do we trust Him?" (grace or free will) to the better dialogue of the power and efficacy of the atonement. I like your illustration. Just a simple question for people like me who try to follow analogies. Was the young man doing the pushups for the benefit of the teacher or for the benefit of the students? It might be that the better (more biblical) analogy would be that the young man entered into the agreement with the teacher to perform an important task on behalf of the students. For consistency's sake, the task would probably not be pushups, but the completion of a comprehensive project that the entire class had been assigned by the teacher but collectively failed to complete. The young man entered into an agreement that he himself--singlehandedly--would perform the task perfectly and completely. The agreement with the teacher included the provision that upon the young man's perfect performance, the grade he earned would be credited to the other students' accounts. It would seem to me that if the young man was peforming his task on behalf of--and even at the request of--the teacher, then the 'reception' of the grade had nothing to do with the other students, but was an act of pure grace by the teacher. It would also seem to me, that over time, those students who were told of the blessings they received by the performance of their substitute would be extraordinarily grateful for his work on their behalf. Some might come back and ask, "But for which of the original students did the teacher cook the books due to the performance of the substitute?" The answer: Those who are not ashamed to declare to family and friends that they did not deserve the grade, but received the blessing of a perfect grade because of the performance of another. That admission, particularly from people filled with inherent pride, is not as easy as one might think. Too bad we don't know each other better. If we did you would know that I would never come close to taking a universalist position. Let me try this again. The more-Arminian position would hold that the ATONEMENT of Christ is AVAILABLE to EVERY person who has ever lived and who ever will live. This would mean that the atonement is powerful to the infinite degree in being sufficient for all WHO DECIDE TO SURRENDER to the lordship of Christ, but that too many will decide to reject His gift offered. In other words, the gift is big enough for EVERYBODY, but NOT ALL will accept it. I did not mean to insinuate that the atonement of Christ is APPLIED to every person who ever lived. Also, I DO believe that God knows all of those who will CHOOSE to accept or reject the precious gift of atonement that He offers and that He MAKES AVAILABLE TO EVERY LIVING SOUL. I "think" that your Calvinist position is that God gives faith to selected people which allows them to decide to surrender to Him as Lord. To me that would limit the atonement to that number of people. I think that anyone who is not a universalist would agree that the atonement is in some sense "limited". The Calvinist position indicates that it is limited by God's choice, whereas the Arminian position indicates that it is limited by each individual's choice. Wade appears to be proposing that one could hold to a view of the atonement as actually ensuring salvation for some (but not all) individuals (a Calvinist position), while believing that the individuals to whom the atonement applies were chosen by God on the basis of their foreseen faith (an Arminian position). I find that an intriguing thought, and worthy of discussion -- but I feel that it would ultimately lack appeal theologically to either side of the debate. You either go wide or effective with the atonement. Wide--Atonement provides *possible* salvation for everybody. Effective--Atonement works *actual* salvation for the elect. P.S. I understand that some might claim that their wide view is also effective for all who believe. However, when I speak of being effective, I speak of the atonement being *necessarily* effective. In other words, I'm speaking of an atonement that necessarily brings about the salvation for all whom Christ died for--His bride. You have summed up the point of this post precisely. "The atonement is sufficient for all. It is empowered by the elected: Christ. It is not you or I that is elected. God has never chosen individuals, He has chosen communities (Adam was the father of humanity, Abraham the father of Israel, Christ the father of the Church)." Can you share your scripture that supports this or are you just musing here? You write: "Too bad we don't know each other better. If we did you would know that I would never come close to taking a universalist position. " I know you don't come close to believing everybody will be in heaven. I never doubted that for a moment. However, your view of "universal" atonement, at least historically, is a Christian universalist view--because Christians historically have believed that it is the atonement that saves sinners, not the reception of the atonement. You write: The more-Arminian position would hold that the ATONEMENT of Christ is AVAILABLE to EVERY person who has ever lived and who ever will live. This would mean that the atonement is powerful to the infinite degree in being sufficient for all WHO DECIDE TO SURRENDER to the lordship of Christ, but that too many will decide to reject His gift offered. Again, I know what you are saying. You are very clear. You believe that the atonement does not make any sinner "at" "one" with God. Only the RECEPTION of the atonement causes this to occur. I am saying that your atonement is actually no atonement at all. You then write: I "think" that your Calvinist position is that God gives faith to selected people which allows them to decide to surrender to Him as Lord. To me that would limit the atonement to that number of people. I feel you may be missing my point. I am not advocating that God gives faith (or creates faith) as a gift to the sinner, nor am I advocating that the sinner possesses "free will" and God simply knows that the sinner will believe (a position which you say you believe). I am saying it doesn't matter in the end if a person believes in a powerful atonement. Both the Calvinist (who believes 'faith' is a gift) and the Arminian (who believes that the sinner 'chooses' Christ of his 'free will' and God simply knows in advance that the sinner will choose) can find common ground in seeing the atonement as effectual--Christ actually brought about an "at" "one" "moment" with God for those sinner for whom he died. Allow me to ask you three simple question RRR. (1). If Christ atones for the sins of every person who has ever lived, what sin keeps the sinner out of heaven? (2). Is the rejection of Christ a sin for which Christ does not atones, and if not, did you ever reject Christ before you finally accepted Christ? (3). Is salvation actually accomplished by the work of Christ on the cross? You write: Would you rather have a God who is powerful enough to atone for the whole world and loving enough not to force us to love Him? Or a God who is only powerful enough to atone for the sins of a select few? Particular atonement does not require atonement for a "select few." On the contrary, a particular and powerful atonement that actually saves people is an atonement provided for "an innumerable company" from "every tribe, every kindred, every tongue, every nation" - for "the world." The question is not "does the atonement actually save the world" as the Bible describes the world (people from EVERY nation, EVERY kindred, EVERY tongue, etc...) but rather, "does the atonement actually save EVERY PERSON. "It is empowered by the elected: Christ." He didn't empower it, He was it. The atonement. The Lamb Of God. "It is not you or I that is elected." "Christ the father of the Church"
As best I can tell, Christ has always been the husband of his people. See Jeremiah, Ezekiel, Hosea, Isaiah, John, Ephesians. Isa 54:5 For your Maker is your Husband--the Lord of hosts is His name--and the Holy One of Israel is your Redeemer; the God of the whole earth He is called. "I meet a lot of 'four-point Calvinists' who, to use their expression, "can't get around John 3:16." Without realizing it, they seem to imply that this text definitely refutes Limited Atonement and the only reason anyone believes such a doctrine is that 'logical necessity' has invented a subtle and sophisticated way to "get around" (meaning 'explain away') this immovable roadblock. My first reaction is to sympathize with such people, especially when I remember that I once made the identical statements. However, experience leads me to believe that in most cases these four-point Calvinists don't need sympathy and tolerance. What they need is to be challenged to vindicate that they believe any of the Doctrines of Grace. This is not too hard to do if you are at all familiar with the members of their congregations. Most four-point Calvinist preachers produce five-point Arminian congregations. I have met very few preachers who rejected Limited Atonement and actually preached and taught Total Depravity, Unconditional Election, and Effectual Calling. Their view of Perseverance was not truly Calvinistic, but a combination of 'eternal security' and the 'carnal Christian' doctrine." Good post Wade and good discussion as well. Good luck on getting anything other than the conclusion Reisinger came up with. is an excellent book featuring essays by Arminians, Calvinists, and Universalists. It is heavy on philosophy, and Scripture of course, and even features an EXCELLENT essay by OSU's philosophy of religion professor Eric Reitan. Calvinist - God lacks the will. Universalist - God has the will and the power. "Their view of Perseverance was not truly Calvinistic, but a combination of 'eternal security' and the 'carnal Christian' doctrine." (1). "If Christ atones for the sins of every person who has ever lived, what sin keeps the sinner out of heaven?" Answer: ANY sin keeps the sinner from heaven because a pure and Holy God cannot accept that which is not holy. (2). "Is the rejection of Christ a sin for which Christ does not atones, and if not, did you ever reject Christ before you finally accepted Christ?" 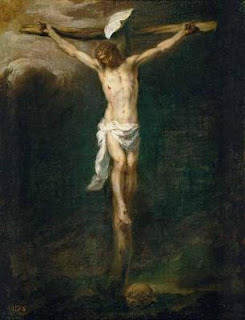 Answer: The atonement of Christ accomplished through His death on the cross is sufficient to pay the penalty for ALL sin of one who surrenders to His Lordship. This would include the sin of having rejected Him prior to the decision to accept Him as Savior and Lord. Yes, to my shame, did reject Christ prior to surrendering my life to Him. At that time, the benefit of His atonement was available to me but I did not accept it. (3). "Is salvation actually accomplished by the work of Christ on the cross?" Answer: Certainly and praise God for that! If He had not died on the cross no atonement would have been established. "I am saying that your atonement is actually no atonement at all." We don't interpret what I'm saying in the same way. Let's look at it this way: In my view, when Christ died on the cross He paid the penalty for the sins of all who have sinned. This is my interpretation of "atonement". It's a ticket made available out of condemnation and hell to all who will receive it. The payment has been made that is sufficient to remedy the sins of all people who will accept it. If I am in jail, and Wade pays my bail money to get out, then the bail money has been paid!!! It’s there, waiting for me to sign my name on the release papers and walk out the prison gates. But if I don't like Wade to the point that I won't accept his bail and I am so prideful and stupid that I decide to stay in jail, then I'm NOT released. Maybe I insist on getting out by having my own way. If I mop enough floors the system will release me, or maybe if I get enough tattoos they’ll think I look good enough to be released. But fact is, I have not accepted the one thing that is acceptable for payment and is available for the receiving of it, Wade’s payment for my bail. Dr. Reitan is a fine man. Thanks for the recommendation. I'll pick up the book this week. If God knew I was going to be saved before I actually GOT saved, then my salvation was a certainty. And it would have to be true that something made it certain. B) My salvation was certain BECAUSE God knew it. I vote b) all the way. And no, I don't understand it. But I confess it anyway. The actual size of the host doesn't change the fact that the atonement was only ever effectually available to a fraction of whom it could have been. Whether the fraction is 9/10 or 3/10, there was a portion of humanity that could never have been saved because your version of God chose on a whim not to pursue them. If you and I wanted to do coffee, I would walk you through Galatians and Romans developing the whole argument out. It would take up far too much room to write those commentaries here. And I hate proof-texting. You dug up that first set of verses because I used words poorly. Yes. Christ is the atonement. It is because of Christ that atonement of sinners is possible. In the third set, you harp on a word because you and I use different connotations. I use father as "head, source." Christ is the source of the church. He is what makes it reality. The same as all humanity came through Adam and all Isreal came through Abraham. In the middle is where you and I will have actual, meaningful differences. After spending all afternoon in the library and all evening (until now) studying Hebrew, I really don't care to look up all the verses you listed. However, I'm guessing that the one you used first is the primary one (Rom 8:30). Please notice the plural language of that verse and its context. God is electing a community, not individuals. I'm guessing that the majority of the verses you quoted (if they do actually pertain to election) could be just as easily explained away. If you think not, bring those specific ones to my attention. A very interesting and much needed post and discussion. I concur with those who are more interested in discussing how one's beliefs play out toward missionary zeal as opposed to those who project one view is superior to another. There was a time in this country when slaves were considered 3/5ths persons by Calvinists and Arminians alike. From the slaves' perspective, a rhetoric that suggested even a 3/5ths "Christian slave" could inherit kingdom would be appealing---universalistic/Arminian in that Christ perhaps died even for 3/5ths persons. On the other hand, considering the Christian praxis of the slaveholders, some slaves might have been more Calvinistic/particular in their beliefs as evidenced in the words of the Spiritual that say, "Everybody talkin' 'bout heaven ain't going there." What is apparent is that the Christian slaves believed in the efficacy of the atonement, universal or limited. To that end, daily they united behind the mission of freeing themselves from the social, political, economic and religious bondages of slavery that they and their enslavers might be reconciled to God through Christ Jesus. The praxis of a unified Christian mission, the salvation of all, resulted in the slaves eventually becoming 5/5ths persons. I am almost certain that Arminians and Calvinists, Protestants and Catholics, even some Southern Baptists joined in the mission. It would be good that our dialogue leads to such missionary zeal and dare I say...atonement. "Whether the fraction is 9/10 or 3/10, there was a portion of humanity that could never have been saved because your version of God chose on a whim not to pursue them." Chris, how does "your version of God" do a better job than Wade's of atoning if your God never actually saves anyone who doesn't first deliver himself? I'm not trying to single you out on this. I'm just curious because you seem so vocal and sure of yourself on this issue. I'm not wanting a heated ongoing debate. As far as I can tell, everyone limits the atonement in one of two ways. Either we limit its recipients or we limit its effect. Since he was going to be a preacher, I’m sure he was not doing it for them to eat a donut, but was aiding his teacher in showing the ‘lost’ of his class that Jesus died for them whether they chose Jesus or not. I believe ‘grades’ had nothing to do with the analogy other than to show the students were ‘not perfect’ (lost sinners) while the ‘pushup student’ was perfect with a grade of 100 who represented the perfect Jesus. 1. What sin keeps the sinner out of heaven? I believe it would be the sin of never fulfilling John 3:16. 2. Is the rejection of Christ a sin for which Christ does not atone, and if not, did you ever reject Christ before you finally accepted Christ? Two years later he changed his mind. The sin of not accepting Jesus before one dies is the sin that was not atoned. 3. Is salvation actually accomplished by the work of Christ on the cross? There was no salvation given to anyone by Calvary, but Calvary paid the price for all mankind. Just as Moses lifted the serpent for ALL, but only those that ‘looked’ did not die. Only those that accept Jesus will enter heaven. Keep hitting the nail on the head…we have more in common than our initials. I'm a classical Arminian. Not a Finny-ian. I believe that God made the fist move. I believe that today God continues to make the first move. People don't "deliver themselves first." Christ died and was resurrected before my salvation was possible. The Calvinist will say, "Preach, but if God isn't drawing they will not be saved." I will say, "Preach because God is always drawing. Some will ignore that voice." God's atonement is just as effective for that person. I am not advocating limiting the power of the atonement. It is the call which God does not force (contra unconditional election). So perhaps it is limited in number, but certainly not because God desires it to be that way. After all, it is His desire that all would be saved. So, to you, Darby, if God elects who is saved and desires all to be saved, why doesn't He just elect everybody? That obviously isn't against His divine will. Or do some go to Hell for a reason different than election? I have a problem with how all seem to be focusing on the cross at the expense of the resurrection in salvation. I do not deny the antonement in Christ's death, however these comments totally miss the victory over death and evil accomplished in the resurrection. Paul says that we are baptized into Christ's death and resurrection (Rom. 6:1ff). Many wh focus totally on the cross miss the role of the resurrection in salvation. Either way, though I have my issues with Calvinism, believe that there is a way forward for Baptists to work together for missions. I believe that was the point of the post. Good point. The resurrection is what actually makes the atonement effectual. "So, to you, Darby, if God elects who is saved and desires all to be saved, why doesn't He just elect everybody? That obviously isn't against His divine will. Or do some go to Hell for a reason different than election?" I would agree with you on the subject of the resurrection. The resurrection is the proof that God accepted the atonement. But the resurrection has no meaning without an understanding of atonement. The atonement satisfied a holy God whose law had been violated by His highest creation - mankind. I have my views and opinions. But the thing I'd like to comment on is the respectful and thoughtful way all are commenting. This is an enjoyable discussion to follow as I'm doing. Some of the better thoughts I've read concerning these issues have been presented on BOTH sides and in a spirit that is God-honoring. For this I wish to thank you. This is what I've longed for among Kingdom people and do not wish to fail in expressing appreciation. Chris, I think you err in representing what I am writing in this post. I am giving no such "version of (a) God who chooses on a whim not to pursue" -- rather, I am conceding your belief that the playing field is level (in terms of God) and what distinguishes sinners who are saved and those who are lost, is the "freewill" choice to believe on Christ. What I am proposing is that what saves the "believer" is a powerful, effectual, satisfactory, eternal and unchangeable atonement-- God gave to Christ, to completely save from the wrath which is to come--those God "saw" would believe. I am only suggesting that Christians move toward a more biblical view of "at" "one" "ment" and that is is the work of Christ - His life, death, and resurrection- that secures salvation for those sinners who believe in Him. "You shall call His name Jesus for HE SHALL SAVE HIS PEOPLE from their sins" (Matthew 1:21). What, Chris, would be your objection to the above scenario of sinners freely choosing God (not God choosing them) and God then giving those whom He knows will choose Him to Christ to redeem? Chris, What you have is a God who allow people to be born knowing they will reject Him and die and go to hell. How is that good? I can see where you would have a dislike for proof texting, it is easier to ignore what it says that way. I find it odd that you apparently seem to not have a problem applying the wording of "Elect" or "chosen" to a group of individuals but then refuse to then accept that the wording applies to those same individuals. You might try Ezekiel 9. I read that as individuals with marks on their foreheads, it seems you would read them as a group. Then of course this following proof text as you would call it seems to be pretty individual specific. Mat 22:3 And sent his servants to summon those who had been invited to the wedding banquet, but they refused to come. Mat 22:4 Again he sent other servants, saying, Tell those who are invited, Behold, I have prepared my banquet; my bullocks and my fat calves are killed, and everything is prepared; come to the wedding feast. Mat 22:6 While the others seized his servants, treated them shamefully, and put them to death. Mat 22:7 [Hearing this] the king was infuriated; and he sent his soldiers and put those murderers to death and burned their city. Mat 22:8 Then he said to his servants, The wedding [feast] is prepared, but those invited were not worthy. Mat 22:9 So go to the thoroughfares where they leave the city [where the main roads and those from the country end] and invite to the wedding feast as many as you find. Mat 22:10 And those servants went out on the crossroads and got together as many as they found, both bad and good, so [the room in which] the wedding feast [was held] was filled with guests. Mat 22:11 But when the king came in to view the guests, he looked intently at a man there who had on no wedding garment. Mat 22:12 And he said, Friend, how did you come in here without putting on the [appropriate] wedding garment? And he was speechless (muzzled, gagged). Mat 22:13 Then the king said to the attendants, Tie him hand and foot, and throw him into the darkness outside; there will be weeping and grinding of teeth. Mat 22:14 For many are called (invited and summoned), but few are chosen. Now does your wedding garment fit you or the church? Reminds me of a sermon that Mike Spradlin, Mid America Baptist Theological Seminary once said at Germantown Baptist church when he was preacing there. "A lot of folks ask me what the bible says in Hebrew. I tell them that it says the same thing it does in English"
Hebrew isn't going to fix your blindness any more than it did the Rabbi's. "I find it odd that you apparently seem to not have a problem applying the wording of "Elect" or "chosen" to a group of individuals but then refuse to then accept that the wording applies to those same individuals." This is like saying that Americans elected congress, but the individual congressmen aren't elected. Or saying, Americans didn't elect Obama, they elected a president. To the scenario you are positing I can raise no objections. You are one of the first Calvinists I have ever heard to suggest that there is some element of free will to salvation, however. Bob Cleveland and I have been emailing back and forth on the issue (Romans 9). What I see going on there is actually Paul drawing a distinction between how one is used (for common or glorified use) and whether one is saved or could be saved. At least God didn't choose that fate for them. The only ways for God to have avoided the reality of Hell was not to create it or not to create at all. The universalist is the only one who can get God out of this mess without what appears to be some mud on His face (NOT that God needs out, or is actually in the wrong). I would rather pin the blame on humans than God. I can't tell whether you mean proof texting makes it easier to ignore a text's contextual meaning, or if you are saying it is easier for me to ignore meaning by not looking at proof texts. If the former, then I concur. If the latter, then I promise that I am not out to ignore texts. Only that I wasn't going to throw verses out there one after the other without explaining, in detail, how I am interpreting them. It took me three paragraphs of commentary to explain to Bob how I read Romans 9:18 in its context. Wade would have to be very patient to allow for that to take place on this wall. You have found a justifiable "oddity." Let me try to explain it somewhat differently to get at what I think is the significant difference. God elects communities: ie God elected Israel, God elected the Church. There were always, however, provisions for those who were not members of the elected community to become members of the elected community. There were provisions for what to do if one chose to no longer be a part of the elected community. While there is one community constituting the saved, there is fluidity between who may or may not be a part of that community. Thus individuals are not "elected" in the sense that God chose specifically them to be a part of the community, and nobody else has a shot. God has elected that He will save those of a particular Remnant. Who makes up that remnant is not as defined. A person may be a part of the elect without having to they themselves be elected. Ezekial 9 does not actually have the word or langauge of election in it. People are marked not to be killed, however. So I see where you are coming from. Even still, for them to be a part of those who are spared, does that require that were personally elected, or does their character reveal that they were a part of the remnant God had deemed to save? In Matthew 22, I ask the same question: does them being in the wedding feast entail that they were personally elected? No. There were many who were legitimately invited but who refused to attend. Those who attended and responded to the message by wearing the proper covering (were "in Christ" as Paul would put it, were part of the saved community) were permitted inside. Individuals, yes. Elected individuals, no. Individuals who were part of the elect, yes. And I see just fine. Thanks. Because I am not agreeing with your interpretation does not make me reprobate. Chris, How did he not choose their fate? He allowed them to be born. If God has perfect knowledge and he knows all things----tell me where is the free-will that you believe. BTW, I don't consider this a test of fellowship like woman pastors or homosexuality. Thank you for the post…. God does save us! We do not save ourselves. We are slaves of sin until God moves us to be friends and slaves of righteousness. A confession (that Christ is the Son of God) is predicated upon the action of a new Father (where previous to God’s effectuating, our Father was Satan) by the Spirit (Peter understood this well). It seems though, that most teachers wrestle with the “expression” of the change, not the actual change. Yet the expression (a true confession) is wrought by the Spirit as well. But nonetheless, the wrestling is pursued by humans based solely in the profession/expression; all the while the true confession is supernatural. The change to a “slave of righteousness” is a violent change which does require death and while we are alive in this world dying daily to sin. The violent change is expressed differently in the life of each individual, so that we are able to have serious debate about who is saved and who is not. Yet it is the wise man and obedient slave of Christ who will present the gospel regardless of the expression. Since God knows the beginning from the end, it is not a requirement that He look down through the corridor of time to effect His own. It is obvious that God does saves us at His appointed time. He also demonstrates to us in time a sure way and reflection of the faith once for all delivered to the Saints,… as the Apostle Paul instructs…. Romans 3:25-26 whom God displayed publicly as a propitiation in His blood through faith. This was to demonstrate His righteousness, because in the forbearance of God He passed over the sins previously committed; (26) for the demonstration, I say, of His righteousness at the present time, so that He would be just and the justifier of the one who has faith in Jesus. So your point is well taken…. God saves and that is how we (His children) know. We should never pretend to be saved, so that God will know. As I consider this discussion I am brought to praise Christ's atonement even more because he not only covers our sin, but our ignorance. The issues being discussed here have always been issues in the history of the church and always will be until Christ returns. So even though people come down on different sides of this issue, Christ is big enough for both. What a thought. I agree with your concern, but I would widen the lens even further. And in the fulfillment of time, He again reveals to the sons of Adam and to the daughters of Eve His great compassion, this time willing to clothe Himself in human flesh and be 'born' into the world through Mary, who descended from Eve. The idea of 'unfolding' for me is rich with the loving care that the Creator has for His Creation. From the very first, He showed mercy and did not abandon His Children, Whom He made in His Image. The teaching of our 'gentle Abba' in the First Testament, is revealed: giving the lessons in a way that could be absorbed and understood. But always The Promise was there: the foretelling and pre-figuring of the Christ, our Alpha and our Omega. Even the development of His children to be able follow their Abba is chronicled, as they stumble in their struggles to reach towards Him. Do we 'respond' willingly in this 'unfolding'? Is our own faith dead or infused with charity? Is our conscience enabled to respond freely to the inspiration of the Holy Spirit sent from Our Gentle Abba? Or, for some, is conscience pre-programmed to choose that which leads us into sin, in order to suit the 'good pleasure' of a Righteous Deity ? Are we still made 'in the image of God' and, while in our brokenness, still beloved of our Creator? are we 'totally depraved' and worthless in His Eyes, unable to respond to His Love on our own ? And in the 'unfolding' of our return to Our Father: are we 'embraced' in the way of the Prodigal Son? Can we not look to the nature of the humble and gentle Lord Christ and find the answers that are to be had? Perhaps: by examining all that He said or did: and discounting NOTHING . Everything of Christ’s Words and Actions in the Gospels is rich with meaning. Don’t accept for a moment that some of His Words were ‘only for a certain group’ and contain no meaning for us today. There is a reason for us to be reading His Words. We are to be impacted by them, as though we are there, hearing His Voice, His Eternal Voice. Will He come for the ones who are sick and need healing? Will He come to find the lamb whose hoofprints only He can see among the rocks? A different kind of questioning, asked out of compassion for the ones who suffer and the ones who are lost and harassed and helpless, because they are like sheep without their Shepherd. "In other words, through the death of Christ, which sinners were forgiven and reconciled with God?" I would like to respectfully say that we have misunderstood the death of Christ and made it to be a solitary act that was meant to forgive sins. While the death of Jesus *paid* for our sins, it did not *forgive* our sins. This was clearly shown to us in the OT foreshadowing of Christ's sacrifice as seen in the Passover. The death of the lamb was absolutely necessary but the death of the lamb alone did not save. It was the obedience by faith of the Israelites taking the precious blood of the lamb and applying it to the door post of their home that caused the death angel to pass by. In the same way the death of Jesus was absolutely necessary to atone for our sin but our sins are not automatically forgiven by the death of Jesus. If our sins were forgiven without an application of the price for our benefit, then Jesus would not have had to take his blood into the Holy of Holies. It also means that if the death of Jesus brought automatic forgiveness then there would be no need of repentance and faith. We would have been saved before we were born. I believe that when we see forgiveness as nothing more than the death of Christ needed without faith and without repentance, then we can fall into Universalism because the death of Jesus paid for the sins of the world. But when we understand that it the death of Jesus plus the application of that price applied to our account, then we can understand that there is no universal forgiveness of sins by Jesus' death. Without an application of the blood applied to our account our sins are paid for but they will never be forgiven. God has graciously made provision for the application of the blood by grace through faith. This is the one thing that bothered me about "The Shack". The author gave a wonderful explanation about what forgiveness means for us. He said that forgiveness means that we take our hands off of the other person's neck. What a wonderful way to explain forgiveness. But a page later he says that by the death of Jesus everyone is forgiven. This is not true. This type of thinking is what has brought confusion into the body of Christ and caused many to be Universalists. It is the application of the death of Christ that brings forgiveness. God has also affirmed this to us by the sign of the sin offering in the OT. The animal was killed and burned on the altar but it was also necessary for the priests to bring the blood into the Holy of Holies to provide for the forgiveness of sins. Would the sacrifice of the animal have brought forgiveness without bringing the blood into the Holy of Holies? No. It is the death + the application of that death (the blood) brought into the Holy of Holies on Israel's behalf that brought the forgiveness of sins. It foreshadowed the death of Jesus. Jesus died and this paid the price. But there is no forgiveness at all without Jesus' blood applied on our behalf. God has set it up that there will be no application of the blood without faith. To know is not to cause to come into effect. However, you point to God as the cause of their being. So God had to chose whether or not to create when He knew that some of His creation would reject Him and thus end up in Hell. So are there goods accomplished by creating which would not be accomplished by not creating? And if so, are the goods greater goods than the evils which result from the existence of free will? I think the Bible makes it clear that in the end, we recognize that is the case. Exactly. When we look at the book of EZEKIEL among others, all we see is personal responsibility. We are not judged in relation to who our fathers were or what group we belong to. Can you imagine sitting in the church at Ephesus and when Paul said this..
You looked around and said to yourself...."all of us" rather than "Hey, praise God, he means me"! When he said this, you looked around and said he is talking to all of us..
Sleeper is singular isn't it? The concern that I have is this. Down through history, the Jews kept making the same mistake. Corporately, they were once delivered from Egypt but their sin, that of unbelief was individual or Josua and Caleb would have never entered the promised land. Corporately they were a kingdom protected by observance of the law in David and Solomon's reign but salvation was individual and by grace even then. King David is a good example. God is the Creator and Justifier of individuals, individually. When Justified, they become part of the household of God. Individually. I don't think one has to get to far past Galatians 1:5 to understand what happens and how it happens. Paul was once part of "corporate Israel" before he was made part of the church. That miracle is well recorded and it was individual. And frankly, I don't see anything that Paul did to cause it. Rather I see a sovereign God calling, electing and justifying. An individual. You can interpret Romans corporately if you want to but you will miss a whole lot of understanding if you do. Good article as you try to focus attention where it ought to be! I always find myself torn between amusement and sorrow whenever this debate occurs, as it seems to highlight how ignorant both sides are about the subject they are willing to pontificate on. A lifetime of activity in the church, most of those years in ministry has shown me that there will be neither Calvinists nor Arminians in heaven. If genuine Christians were to spend more time in understanding our responsibility to be disciple makers and trainers of disciple makers, as well as being functioning examples of what it means to be new creatures in Christ amongst a lost community, we would have less time to argue about whether we are disciples of Calvin or Arminius. One thing I do know is that God chose to use instruments of clay to do His will amongst humankind. The fragility of these vessels are becoming more and more obvious in such "debates". The view that Christ died for the bride is wide as well [in a sense]. This is because the redeemed are found in every tribe, tongue, people, and nation [as the book of Revelation shows]. Therefore, the gospel penetrates *all peoples* and thus is a missionary gospel. However, this kind of "width" is different than the *every, single, person* width. Notice who/what Jesus redeemed people "out of/from"--Rev. 5:9; 14:3-4. Notice the "if/then" logic of Jesus Himself in John 12:24. If the grain dies, then it will bear fruit. But the unlimited atonement/free will view holds out the possibility that *no one* might have been saved since everyone could have rejected the gospel. But that contradicts the "if/then" logic of Jesus [and not of some mere theologian]. Joe was that a cbf pastor? You said to Joe--"Joe was that a cbf pastor?" It was William Paul Young. Hear God Speak - Bible Commentary > The Shack's Author in a Radio Interview. Joe Blackmon got the portion of transcript from above. Sounds like something a CBFer would think. Actually Jeff it was not a pastor but a recently famous author of a recently famous book. However, it does sound very "CBF" doesn't it? Actually Thy Peace, I got the text from this blog. However, thanks for the link. If God 'giveth grace to the humble', maybe it's because He can. Is there something about a humble person that is more open to the grace of God? More receptive? In the Scriptures, where the humble were gathered, Christ was often found. Perhaps it is the same today. Unless I have misunderstood, you are going after what really constitutes salvation. I like how you emphasize what we were saved for and the role of Jesus' words in salvation and the subsequent life of a Christian. When we limit salvation to merely the forgiveness of sins and our eternal destiny, we de-emphasize the remainder of the New Testament that emphasizes the kind of people God intends us to be, the kind of faith communities we are to develop, and our posture vis-a-vis the world. We are saved to serve, as I have heard so many times. You wrote, "Down through history, the Jews kept making the same mistake." Thank you for making my point. Because which makes more sense: to read these through the lens of 1600's linguistics or to read the words as those who WROTE and FIRST READ them would have understood their meaning? You keep telling me that "election means this" because it has to for a typical reading of Calvinism to work. Not because that is the lexical meaning. Not because your reading is what the original readers would have understood. If I am to believe you, I have to believe that nobody understood a word of Romans or Galatians until Luther and Calvin came along and applied the definitions of their day! That's a long time for a such important concepts to be impossible to understand. Of course, that's the same reason I reject that the book of Revelation is talking about current events in Europe and America... Revelation (the act, not the book) had to be able to mean just as much to those it was given to as it it does to you and me today. I appreciate your acknowledgement of the importance of the resurrection in salvation, but I believe that it goes further. God has defeated death and evil in the resurrection (1 Cor. 15:50ff). I think that we assume that others accept heaven and hell as eternal destinies. Maybe some do. But, eternal life is not clearly defined in the OT (there are a few mistaken prooftexts) and that the new testament presents DEATH as the enemy and that which came through the first Adam. Resurrection is the response to the problem of evil: that the good can suffer and that evil can prosper. God defeated the power of suffering and death in the resurrection, not merely making atonement effectual, but defeating the powers of everything that seperated us from God. This is a crude definition of the Christus Victor view. I never propose doing away with substitutionary atonement like some do, but neither do I think that the absence of the Christus Victor view from our preaching is a good thing. "If I am to believe you, I have to believe that nobody understood a word of Romans or Galatians until Luther and Calvin came along and applied the definitions of their day!" And if I am to believe some of the things you've written elsewhere, I have to believe that nobody understood a word of Romans or Galatians until N.T. Wright came along and reapplied the definitions he thinks came from Paul's day. "This is a crude definition of the Christus Victor view. I never propose doing away with substitutionary atonement like some do, but neither do I think that the absence of the Christus Victor view from our preaching is a good thing." And so, Sir Romanist, you are coming to get salvation are you? and you have brought all this with you. Friend, I am sorry for thee, but thou must go away from the box with all thy performances, for it is "without money and without price," and until thou art prepared to come empty handed thou canst never have it. If thou hast anything of thine own thou canst not receive it. "But," says he, "I am no heretic. Am I not true to the Pope? Do I not make confession and get absolution, and pay my shilling?" Do you my friend? Then because you pay your shilling for it, it is good for nothing, for that which is good for something you can have "without money and without price." The light we pay for is a sickly thing, but that which we get from heaven for nothing, is the rich healthy light which makes the heart glad. So the pardon that comes from Christ is "without money and without price." Darby, if that be true now I know Chris' problem too much Wright doctrine, and not right doctrine. And yet nobody has been able to come to Wright and say, "You are wrong because the words meant this at the time they were written." They all say, "The Reformers defined the words as this, and if we assume those definitions then Wright is wrong." They aren't arguing from lexical evidence: they argue to defend the dogma. That isn't good scholarship. That is shoddy academic work. But Jeff is able to get that little quip in nevertheless (which I believe is courtesy of one of Southern's recent panel discussions, but I may be wrong on that). I have read more by Lutheran and Reformed traditions than I have Wright. Wright simply makes a more compelling lexical and exegetical case in light of the 1st century. Piper admitted that he was defending Calvinism from Wright, not the Bible. "Piper admitted that he was defending Calvinism from Wright, not the Bible." Chris, thanks for the reply. But would you not agree that no one has expressed calvinism from the Bible more thoroughly in our day than John Piper? His exegesis is all over the place. Chris, IYHO Wright makes the case. It's a horrible case he is making IMHO. I think Piper is very biblical and has written an entire book on justification. Piper admitted that? Context please? Piper has done a great job of promoting Calvinism and his work is all over the place. Some of it is on my book shelf (I didn't buy it, it was given as a gift, but I did read it). But Piper has admitted that Wright handles the Bible at least as faithfully as he does. Wright just uses different definitions which nobody can contest are more likely to be faithful to 1st century understandings as opposed to the usage of words at the time of the Reformation. God has set it up that there will be no application of the blood without faith. Good comments. As you indicated, a Universalist could well hold to the view that the atonement alone is all that is needed to accomplish salvation, whether or not it is "applied" by an individual's faith in Christ. I would add that, by contrast to Universalists, both the Calvinist and the Arminian would say that faith is essential for salvation, and that faith is the means by which the atonement is actually applied to the individual. Where Calvinists and Arminians differ is regarding the nature that faith. Calvinists say that the faith necessary to receive salvation is the result of regeneration, which is given only to specific individuals chosen by God to receive it. Arminians say either that the faith necessary for salvation is inherent in all humans, or that it is given by God to all humans at some point in their lives. But generally both Calvinists and Arminians believe that salvation requires not only God's act of the atonement through Christ but also the application of the atonement to a specific individual at a specific moment in time through faith in Christ. As indicated in my previous comments, I consider it unlikely that many would hold to a limited, effectual (in the Calvinistic sense) atonement without also holding to a Calvinistic understanding of election (i.e., unconditional election vs. election based on foreseen faith). I can see both a Universalist and a Calvinist holding to the view that the atonement actually ensures salvation, but that view of the atonement seems to me to be fundamentally at odds with a "foreseen faith" view of the basis of election. What do you think? Could you envision those with different views of on the basis of election (unconditional vs. foreseen faith) coming together on a view of the atonement as limited (to the "elect", regardless of what makes them elect) and effectual (actually securing and making certain the salvation of those who will believe)? This is the area in which I believe Wade is trying to "move the conversation forward", and I'm curious if you think it's likely folks would accept the "L" of the TULIP without accepting the "U". Can you provide your sources about Piper and Wright? I would love to read the context. So did Wright. "Justification: God's Plan and Paul's Vision." It came out this summer. The entire second half of the book is devoted to exegeting the theme of justification through Galatians and Romans with some time spent in Phillipians, Corinthians, and Ephesians. The first half is establishing likely 1st century definitions and the 1st century Jewish which Christians understood themselves against. Historical context followed by exegesis. That sounds like a pretty solid book to me. As to the Piper citation, note that it was not verabtim. The book it comes from is not one I have permanently acquired, though I intend to if I can find a job and get a little spare cash. It was an intriguing read. However, the book is "The Future of Justification: A Response to NT Wright." In the beginning, Piper admits that he is just as much out to defend historical theology (Calvinism) as he is the Bible. His conclusions affirm much the same: Wright is standing outside the historical tradition of Protestant scripture reading, not outside the Bible. Doesn't sound like that Piper consider Wright to be that faithful here. Found this at Desiring God. I think it is devastating to say that when it comes to having a living and saving relationship with the Lord, justification does not come to Paul’s lips or pen. That is not only misleading and destructive, it’s just wrong. Let it be known to you therefore, brothers, that through this man forgiveness of sins is proclaimed to you, and by him everyone who believes is justified from everything from which you could not be justified by the law of Moses.” (Acts 13:38-39, my translation). So here he is bringing his sermon to a close—his gospel sermon in which he’s bringing people into an eternal relationship with god—and he brings it to a climax with justification. So for N. T. Wright to say that justification does not come to Paul’s lips or pen when we ask him about how to find a living, saving relationship with God, I just say, No way. It’s not only misleading, it’s not true to the text and it’s going to hurt the church. And I should have written, "Piper admitted that he was defending Calvinism from Wright, not defending the Bible." Chris, In this segment he does offer some praise for Wright. Is this what you are talking about? But again notice he is addressing issues from Scripture. I’m concerned most especially about what he teaches about the role of the imputation of God’s righteousness in Christ to us and the imputation of the obedience of Jesus to us according to Romans 5:19. I almost titled this book Nonsense Happens, because he says, “That makes no sense at all.” But I knew that title would be misunderstood. People would think I was saying that I think everything N. T. Wright has written is nonsense, which I don’t believe in the least—he writes many amazing, helpful, glorious things. But this struck me as being very hurtful. To say that the imputation of God’s righteousness across the courtroom onto the defendant in union with Jesus Christ is nonsense is devastating. There are other things that he has said that get my goat and I think are hurtful to the church, but that’ll be enough for this little introduction. "Could you envision those with different views of on the basis of election (unconditional vs. foreseen faith) coming together on a view of the atonement as limited (to the "elect", regardless of what makes them elect) and effectual (actually securing and making certain the salvation of those who will believe)? This is the area in which I believe Wade is trying to "move the conversation forward", and I'm curious if you think it's likely folks would accept the "L" of the TULIP without accepting the "U"." I think that the point of agreement is the application of the atonement. We can all agree that the application is limited to the elect - the ones who have faith in the Savior and his death on their behalf. Since the forgiveness of sins is two fold - the death of Jesus plus the application of that death, I believe that right now our point of agreement can be fully in the application. However I am optimistic that it can go further than this. I am working on a DVD series on the Sovereignty of God from the balanced view that is designed to bring both sides together in the place where we must meet - in the full counsel of God, in context, in the hard passages of scripture. I have seen too much division over this issue to let it go by without doing everything that I can to help. It is my sincere goal to see the body of Christ at-one-ment with each other. By God's grace and His Sovereignty I expect to see that in my lifetime. I am not naive, just trusting in an Awesome Big God! I'm intrigued that you bring up imputation here. In one of the comment streams coming off of Southern's recent panel discussions of Wright the topic of imputation comes up several times. It is mentioned that the doctrine is systematically justifiable, but not necessarily biblically explicit. I haven't done all my homework on that yet, so I can't say anything with certainty. But I thought I would point you in that direction and let you look for yourself. "Thank you for making my point. Because which makes more sense: to read these through the lens of 1600's linguistics or to read the words as those who WROTE and FIRST READ them would have understood their meaning?" Ok, so what you are really saying is that our understanding of the WORD is or should be based on our understanding of what Paul, Peter, James and all were thinking when they wrote it and read it? Let's take that thought back a little further. Do you suppose that the Jews had a better understanding of the OT because they wrote it or read it? Would you try to make the same case against Israel? Do we have to accept your argument that to really understand the written WORD we have to know what the people of the day were thinking? Well, here is an example of a Jew talking to a Jew and they didn't understand it. Eze 40:4 And the man said to me, Son of man, look with your eyes and hear with your ears and set your heart and mind on all that I will show you, for you are brought here that I may show them to you. Declare all that you see to the house of Israel. Isaiah knew they wouldn't get it either. Act 28:26 Go to this people and say to them, You will indeed hear and hear with your ears but will not understand, and you will indeed look and look with your eyes but will not see [not perceive, have knowledge of or become acquainted with what you look at, at all]. Try as you may, you will never convince me that in order to properly understand scripture I must first have an intimate understanding of what a Jew, some 2000 years ago was thinking. I am going to put my faith in the WORD, in English and the Holy Spirit to show me and lead me. 1Co 2:14 But the natural, nonspiritual man does not accept or welcome or admit into his heart the gifts and teachings and revelations of the Spirit of God, for they are folly (meaningless nonsense) to him; and he is incapable of knowing them [of progressively recognizing, understanding, and becoming better acquainted with them] because they are spiritually discerned and estimated and appreciated. Joh 16:13 But when He, the Spirit of Truth (the Truth-giving Spirit) comes, He will guide you into all the Truth (the whole, full Truth). For He will not speak His own message [on His own authority]; but He will tell whatever He hears [from the Father; He will give the message that has been given to Him], and He will announce and declare to you the things that are to come [that will happen in the future]. Joh 16:14 He will honor and glorify Me, because He will take of (receive, draw upon) what is Mine and will reveal (declare, disclose, transmit) it to you. Joh 16:15 Everything that the Father has is Mine. That is what I meant when I said that He [the Spirit] will take the things that are Mine and will reveal (declare, disclose, transmit) it to you. These days, what I am reading, hearing and seeing is lining up real well with what Paul was seeing hearing and saying from the same Spirit that is within me. A few chaps from the 1600's apparently had the same understanding and there are those today that are hearing, seeing and understanding the same way. You apparently aren't one of them. At this point, I am not going to respond to you any further. I cannot respond civilly. I tire very quickly of what I percieve as veiled attempts to question whether or not I am a Christian. If that was not your intent, then I am sorry for having misread you. That is so easy to do in a virtual setting. If that was your intent, then know that God and I are at peace through Jesus Christ and Him alone. And please refrain from such accusations in the future.
" Wright is standing outside the historical tradition of Protestant scripture reading, not outside the Bible." Well, I certainly wouldn't suggest that you haven't been justified. That happens all at once you know? Totally apart from any works. What I was intending to convey via the scriptures that I used is the idea that what we talk about are spiritual matters that are spiritually discerned. I find it odd then that you are so enhralled with the idea that these spiritual things can be conveyed more accurately by a fleshly understanding of...flesh. 2000 years ago. A better word for what I am really thinking is misguided. That sort of takes us back to the conversation we were having a few days ago though. That one where I said put the books down and pickup the BOOK. I think I also told you not to worry, Phil 3:15. Now do you really think that I am questioning your salvation or are you just using that as an excuse to jump ship when you start feeling the water coming up over your nose? Sort of a temper tantrum so you don't have to engage anymore? Please accept my apology for offending you. Let's put the emotions aside for a while now. We might learn something. There is much that has been discovered in the 20th century which has contributed to understanding scripture. Too, IK do not think that Wright is outside the Protestant Tradition. And, I think even folks at Southern Seminary acknowledge Wright's work The Resurrection of the Son of God is probably the best defense of the Resurrection in the evangelical tradition. But it is important to say that Wright is one of many in the field of the so called New Perspective of Paul. But yes, I would answer your rhetorical question with an affirmative: we are to read scripture as best we can according to the author's intent within the best possible reconstructions of the literary, historical and social contexts that we have. Wright does not want to prove Luther or Calvin wrong, but to build on the foundations that they laid. Even more so, his desire is to read scripture. That should be ours as well. Ut Oh! After Wade’s father bragged on the comments being friendly, Jeff blew it with his sarcastic remark about the Cooperative Baptist Fellowship (CBF). Tom, since Jeff didn’t give you what I believe is the real answer – here’s my two cents. The CBF believes the glue that holds Baptist together is MISSIONS, while the leaders of the SBC argue the glue is DOCTRIN. That’s it in a nutshell. That’s why Jeff said what he said. I believe Jeff wants ‘walls of doctrine’ not realizing they make prisoners within. I believe when Orasco yelled “The walls are coming down!”, he was referring to the ones that legalist have made with their doctrinal rules. "Dan 12:4 But you, Daniel, shut up the words and seal the book, until the time of the end. Many shall run to and fro, and knowledge shall increase." I really believe that. I do. Jas 1:16 Do not be deceived, my beloved brothers. Jas 1:17 Every good gift and every perfect gift is from above, coming down from the Father of lights with whom there is no variation or shadow due to change. But more than all that, I really believe this. 2Ti 3:13 while evil people and impostors will go on from bad to worse, deceiving and being deceived. The question all comes down to who you learned it from. If that is wright, calvin, arminius or whomever, we probably need to get back to the Teacher. I think that we would all like to think that we are receiving our understanding of scripture from the Spirit. However, we have many nuanced interpretations...and I do not think that most people are in it for deception (though there are those who are intentionally deceiving). I am not hiding behind a smokescreen. If you truly did not intend such, then I am more than willing to continue to discuss these issues. Perhaps another time, when I am in a fitter state of mind, more conducive to productive discussion. You asked if I was using this as a smokescreen. I am going to put up a few of your quotes and explain how they read to me. I am not doing this to attack you. I just know that many times we have a way of talking that rubs others the wrong way. I do it all the time! I want to be able to avoid such breakdowns in the future. I hope that by explaining what I heard, you can be better able to avoid giving offense in the future. And if I offend you, I certainly hope that you will call me on it because I very rarely intend offense. And even more rarely when I have the option to walk away for a moment as this medium permits. I want us to be able to talk in ways the other can understand. "Hebrew isn't going to fix your blindness any more than it did the Rabbi's." - When I read this, I hear that in your estimation I am no more aware of or affected by the power of Christ than is your friend who is not a Christian. "You apparently aren't one of them." - After discussing the presence of the Holy Spirit in the lives of the Apostles, the Reformers, and yourself, it seemed to me that you were implying I was not accessing that same Holy Spirit as I read scriptures. With that Spirit indwelling all believers, the inferrence was that I was not a Christian. I have much more that I could say in regards to the contents of your later posts. Tomorrow, after sleeping on it, I may respond to it. Again, for the sake of my conscience I do not think it would be wise for me to do so at this time. I can see where you my comments could lead you to believe what you did. Thanks for understanding that it was not my intent. My intent though is to point people to Christ, The WORD. Not Spurgeon, Wright or whomever. If you can take your zeal and pursue Christ and preach Christ as you think your calling is leading you then press on and praise God. I think we live in a unique time, the end times and it is truly Summer. We can see it in nature and in man. It is about time we put aside worship of man and turn to Christ, The WORD. Our practice of religion is too similar to that of Israel to get anywhere comfortable or complacent with it. You have only to look to Wade's next post to see where our religion has gotten us. Don't be fooled, there are Baptists out there that don't understand imputed righteousness any better than those guys do. But they never find Christ....I am not a disciple of Calvin, Arminius, Spurgeon or Wright, Apollos or Paul. I am a disciple of Christ and it is Him I will be learning and studying. I hope you will do the same. "But they never find Christ....I am not a disciple of Calvin, Arminius, Spurgeon or Wright, Apollos or Paul. I am a disciple of Christ and it is Him I will be learning and studying. I hope you will do the same." Chris Ryan is perfectly capable of answering for himself, but the question that I have for you is why do you think that Chris is not a disciple of Christ and that he is not interested in doing the same. You seem to claim that you are going after Christ only and that you are simply reading the scriptures and interpreting what they are saying. On your blog you write that you are interested in deeper Bible study than what we have in the church. Why do you think, Chris, because he does not share the same assumptions as you, is not interested in reading the Scriptures and interested in deeper Bible study. I cannot see how you claim these assumptions. I have read your comments before and believe that you truly have a zeal for God. However, to assume people who read other preachers, profesors, and come to different conclusions about nuances of scripture than you do - to believe that they are not pursuing Christ is a high charge to make against the integrity of someone's faith and beliefs. For example, I assume that you accept a "Left Behind" view of the end times. I believe that theology is way off-base, and a gross misuse of scripture. I believe that it is an attempt to read into scripture things that scripture never intended to say. Yet, I do not believe any less of your zeal or devotion to Christ for that belief. Who taught you the Bible? Sunday School teachers? Preachers? Private Christian education? Whether you admit it or not, someone is teaching you and shaped the lens through which you read scripture, and not just the Holy Spirit. I do not believe for one bit that you have never been exposed to Bible teaching in a church or group, never read commentaries or Sunday School materials, or heard other preachers preach. These all influence your understanding of scripture. In fairness, true Christians have some fundamental doctrines that they must hold to, but can and will vary on the nuances of those beliefs. Jesus says we will know them by their fruits (Gal. 5:22-23) and that by love all will know that we are (or not) his disciples (John 13:34-35). The whole point of Pastor Wade's blog is the importance of the atonement but that there is room for different nuances. Rex, Thanks for the color commentary. :) I disagree the SBC stands for missions and doctrine. My goal as pastor is to be true to the Bible in all aspects, not just a pet cow. If one bases their entire existence just on missions with no doctrine you have a mainline church. If one bases their entire existence on doctrine with no missions you have deadness. I for one want both in the SBC. We can all agree that the application is limited to the elect - the ones who have faith in the Savior and his death on their behalf. Since the forgiveness of sins is two fold - the death of Jesus plus the application of that death, I believe that right now our point of agreement can be fully in the application. That is precisely the opposite of what I believe our point of agreement should be. We should agree that God saves sinners through the work of Christ--for application varies considerably. The death and resurrection of Christ, in my understanding of "atonement," actually and eternally secures the deliverance of sinners for whom Christ died. The "application" as you call it (faith in Christ) does not occur in infants who die in infancy or in what the ancients called "imbeciles" who have no capacity to comprehend Christ or trust Him (our more appropriate word today would be "mentally challenged"). Yet, Scripture is clear that Christ saves those kinds of sinners as well--without any application on earth (though of course, there is such faith in heaven). If, therefore, God is capable of delivering a sinner like that without application here, then it is the cross and resurrection that atones - alone. P.S. Of course, the argument that the babies or the mentally challenged are without sin doesn't hold water because they die--and death is the result of sin--albeit the original sin of Adam. You wrote this: "We can all agree that the application is limited to the elect - the ones who have faith in the Savior and his death on their behalf." I cannot agree. There are many who do not have the gifts to understand all the 'words', but they would respond to the loving care of Christ the Lord anyway. Often, in our attempts to get it right we overlook the ones dearest to His Heart. Christ comes for the lamb who is lost and will not find his way to safety on his own. I know that whatever mercy Christ shows in bringing that lamb home, He will show also to repented sinners who turn their faces towards Him and seek His gift of forgiveness and peace. We musn't forget the ones who cannot read, or speak, or form 'opinions' easily. They are still to be found "at the heart of the Body of Christ". And the little ones, the children? We need to become 'like them' to enter into the Kingdom of Heaven. The children in St. Mark's Gospel needed no knowledge, no doctrines, no persuasion, no threats of 'hell', and no desires for personal gain to come to the Savior. They just wanted to be with Him. "Jesus asked a great deal of those who followed Him. he expected much more from them than just believing He was God's Son. He challenged them to embrace radically different standards, to love their neighbors AND their enemies, to forgive those who wronged them, to lift up the poor and downtrodden, to share what they had with those who had little, and to live lives of sacrifice." (Richard Stearns "The Hole in Our Gospel). The three greatest commandments are to "love God, love our neighbors, and to make disciples of others who will do the same". is my understanding of "election" or "atonement" critical to following God's call on my life? I don't think at all, ever at any point nor will I ever think that Chris isn't a disciple. What we are about here, I think is learning, sharpening iron if you will and sharing what we have learned. From various sources. Mine are the WORD, Spurgeon, Matthew Henry, Pink and blogs like this one and the guys at Pyro. Just recently added the guys at Monergism to the list as a direct result of the arguments I have been making on this site. None of us learn in a vacum. None of us have the same trials or the same life experiences and so we all have a tendency to view life through our own lense. As to the left behind stuff, I don't really know what you are talking about. I am pretty sure none of us will ever be left behind anything, anywhere. On the other hand, I am pretty sure some of us will be here to the end. I don't believe in the rapture and I believe we are in the tribulation. Now before folks start running to Thessalonians I would redirect you to Mat 24. Some will say that has been fulfilled but I don't remember to many folks standing up around 70 AD claiming to be Christ. The last ONE to do that was hung on a cross. If, as brothers, we are doing it right, we will be preaching Christ, and honoring him for what He did, and what He is doing. Excuse my ignorance but I see no difference between "the believer" and "the elect". The believer is elect and the elect is a believer. I like what Spurgeon said, " if God would have put a blue stripe up everyone who was to be saved, I would spend all my time lifting coat-tails. But, since He did not, I preach the Gospel to all." Chris, I wouldn't go around quoting NT Wright as a good apologist for the faith; he is a theological liberal who is a bishop in a heretical church that ordains acting homosexuals, atheists and witches as priests and bishops. You said: "The "application" as you call it (faith in Christ) does not occur in infants who die in infancy or in what the ancients called "imbeciles" who have no capacity to comprehend Christ or trust Him (our more appropriate word today would be "mentally challenged"). Yet, Scripture is clear that Christ saves those kinds of sinners as well--without any application on earth (though of course, there is such faith in heaven). If, therefore, God is capable of delivering a sinner like that without application here, then it is the cross and resurrection that atones - alone. " I guess I should have qualified my statement. I assumed that we were talking about sinners. The application of faith that is necessary is for those of us who are knowledgeable sinners. All of us here fall under that category. Babies and small children are a different category in scripture as they are called "innocents". Jesus' death on the cross universally covers Adam's sin that has tainted us with the sin nature and it also pays for our own sin. Those who die without the ability to reason and understand fall under the category of "innocent" (Ps. 106:37, 38) and the cross universally covers them for Adam's sin. I believe that the bible is clear that a child will not be put to death for the sins of his father. (Ezekiel 18:4, 20). While we are tainted by the sin of Adam so that we die physically, God will not send us to hell for the sin of Adam. It is our own sin that takes us there. Even though babies have the sin nature, they are not accounted as worthy of death because the cross covers those who are not capable of willful, deliberate sin with knowledge. Throughout the book of Jeremiah, we see Israel following the practice of burning their children in the fire and God calls these children "innocent". Jer 19:5 and have built the high places of Baal to burn their sons in the fire as burnt offerings to Baal, a thing which I never commanded or spoke of, nor did it ever enter My mind;"
David showed that he understood the difference between an innocent child whom God covers with the blood and the willful, knowledgeable sin of an adult. "2 Samuel 12:23 "But now he has died; why should I fast? Can I bring him back again? I will go to him, but he will not return to me." David was confident that God had prepared a sacrifice for the innocent and that he would go to be with his young son in the after life. However David was not so confident with Absalom. David had asked his men to spare the life of Absalom but when his son's hair was caught in a tree, the men killed him as an enemy of the king. While David's baby's death ended David's mourning, Absolom's death increased his mourning. The difference is that one was covered by God's grace through universal atonement while the other was not. For us as sinners there is no universal atonement. For the innocents there is a universal atonement because Jesus universally paid for the sin nature that we inherited from Adam. Does this clarify my position further? Does the universal atonement that applies to babies and other "innocents" speak to your position? It is the cross and resurrection alone that atones for the "innocents". But for the rest of us, all of us who have deliberately and willfully broken God's law, (and I think everyone reading this post belongs in that category) the forgiveness of our own personal willful sin is not universal. It is by grace through faith in the finished work of Christ on our behalf. For us the price that was paid needs to be applied to our account by faith. Also thanks for your kind words. It is very much appreciated. I have always appreciated your work here because you do it from a heart of love. I will mull over your statement that the atonement covers Adam's original sin for every sinner. In essence, then, the last Adam (Christ) made atonement so that every sinner might become his own Adam before God - standing or falling based upon one's response (or lack of response) to Christ once there is conscience awareness of personal sin. Thanks again for the comments. I wish you the best in your DVD regarding the sovereignty of God. "In essence, then, the last Adam (Christ) made atonement so that every sinner might become his own Adam before God - standing or falling based upon one's response (or lack of response) to Christ once there is conscience awareness of personal sin." That is a very good summary! I will try to look at your reference later. I just found a major glitch in the menu system of the new DVD I just edited. Looks like I will need to spend another day or two of work when I thought I was done. Bummer! Liberal is a catch all for "anybody who doesn't think like me." And if you were familiar with Wright, you would know that he does not approve of what the larger denomination is doing. Some people are capable of being true to their conscious without having to break off and start everything over again. I do not believe that the Word was "conveyed more accurately by a fleshly understanding of...flesh. 2000years ago." But God chose to reveal Himself 2000 years ago in writings in words and concepts that those people would have understood. That is why an understanding of what the Bible is saying requires good historical, social, and grammatical study. God wrote to you and I, but He wrote to them first. You also said that you really believe I Timothy 3 because we should hold tight to what has been handed down to us. I understand what you are trying to say. However, just for a moments of Devil's Advocate, you do realize that if you were alive at the time of the Reformation that line of thinking would have kept you a Catholic? It was a critical re-examination of what was passed on to us (Scriptures) that led to the Reformation. It is a critical re-examination of what was passed on (Scriptures) that Wright is engaging in now. Others of us (you and I included) are just trying to figure out what the Bible says right along with them. So it is not parroting these great scholars, but it is trying to understand what they have thought and if it squares with how I understand scripture as the Spirit guides me. We don't need more people preaching from Wright or Calvin. But there is a whole lot of preaching that could benefit from having wrestled more with the records of these men's wrestling with God. And it's good to know someone else who sees right through all that "rapture" theology. It makes my heart happy! Now it’s my turn to ask what you mean. For the record, I accepted Jesus when I was ten and have always been a Southern Baptists. I didn’t know there was a Conservative Resurgence until 1997 when my missionary son sent an email from the IMB president asking missionaries to have a confidence to follow their God-appointed leaders whether they understood or agreed. The president assured my son that being ‘grandfathered’ he would not have to sign the new BFM. Then he was told if he didn’t sign, he would not be fired. But like someone else in Bible times that feared for their job, the president reversed his promises. We no longer have missionaries guided by the Holy Spirit; but employees obeying orders from the IMB. Jeff, I’m still a Southern Baptists in a Southern Baptists BGCT church where I was a charter member in 1944. Since retirement, I’ve spent over a year and a half overseas on seventeen ‘volunteer mission trips’ for the SBC. Yes, I’m a Southern Baptists, but now, I’m barely hanging on by my finger-nails. You made good points to Ezekiel's concern about Scripture. I agree with Darby. Good points!